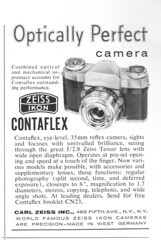 The Contaflex family of 35mm leaf-shuttered SLR cameras was introduced in 1953 by Zeiss Ikon, utilising the newly developed Compur reflex shutter. 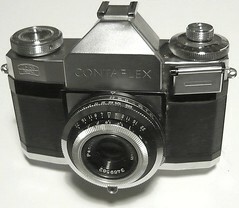 By doing so, a completely new 35mm camera emerged, a concept probably first used in 1929 in the Mentor Compur Reflex. 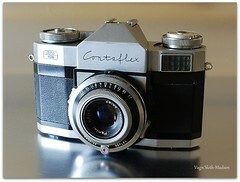 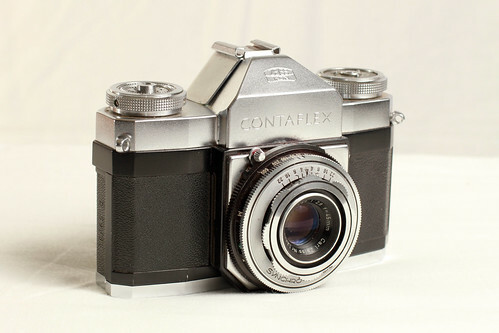 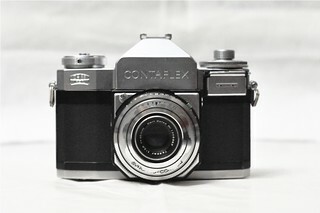 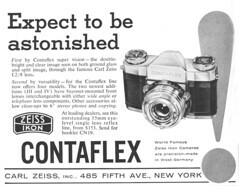 The Contaflex name was made famous and became highly respected due to the spectacular 35mm twin lens reflex Contaflex, introduced in 1935 and only produced a few years. 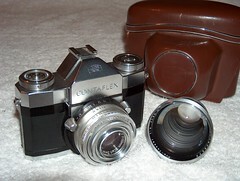 The Contaflex I and II have fixed lenses although it is possible to add a 1.7x supplementary lens (called the Teleskop 1.7x) using an adapter mount (861/07). 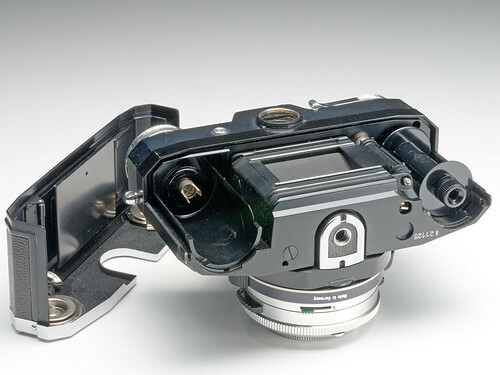 The adapter mount slides on to the camera body below the lens and locks into place using a pair of hinged lugs. 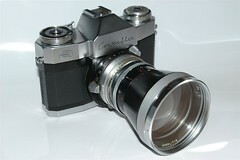 The Teleskop 1.7x lens screws on to the adapter mount and also locks into place. 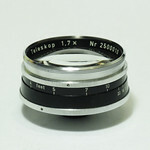 Interestingly the lens-to-subject focus distance remains almost the same with the use of the Teleskop 1.7x and effectively increases subject magnification. 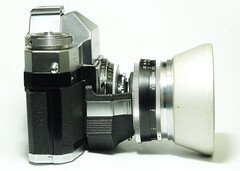 Note that the adapter mount cannot be attached if a filter is fitted to the fixed lens. 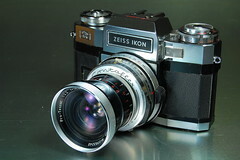 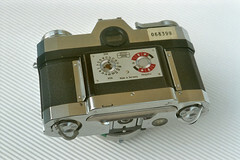 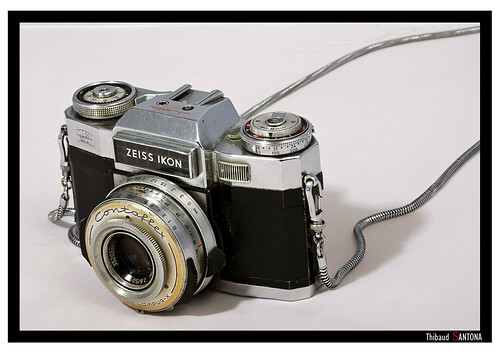 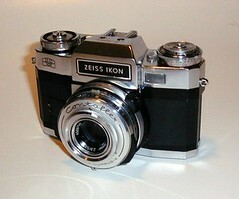 An alternate camera back was offered by Zeiss Ikon, a camera back that fit for some Rapid, early Super and Prima models. 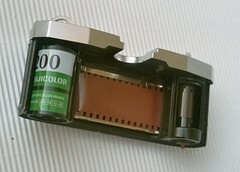 The 35mm film had to be loaded into the film back which held the film capsule itself light tight, as well as the take-up reel. 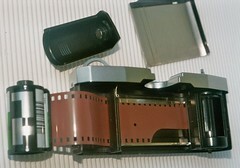 Even the image plane could be covered light tight with a removable sliding door so that the whole film back could be removed mid-roll and exchanged by another loaded film back. 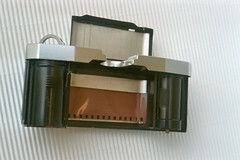 This made the cameras attractive for ambitious tourists who wanted to use one fine camera for both slide films and negative films. 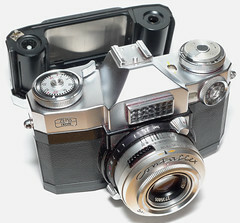 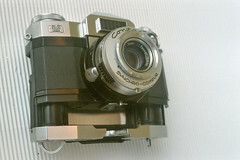 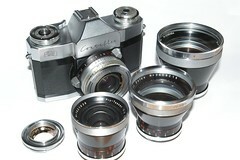 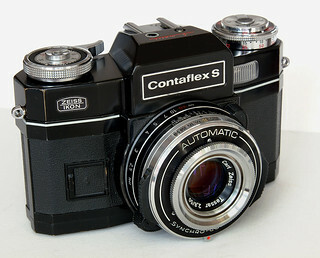 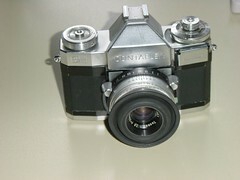 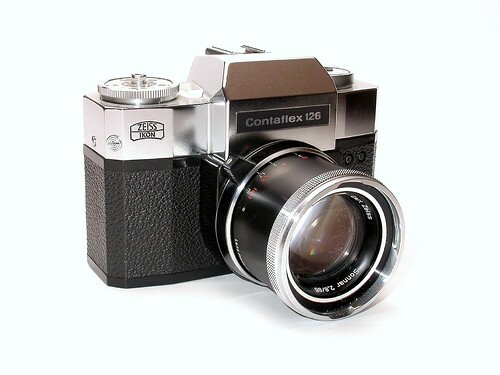 Both the Contaflex Super BC and S were sold in chrome or black; they were the only Contaflex models to be produced in black. 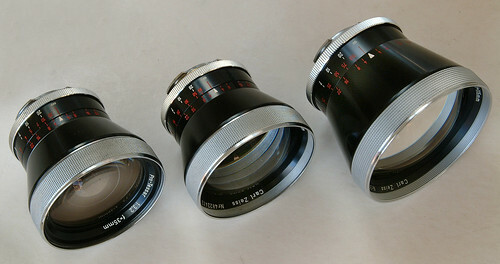 A complete line of these Contaflex Steritar lenses can be seen in these photos from widgits on Flickr.